This game is filled to the brim with action packed entertainment! It features better graphics, more stages, and more challenging levels. 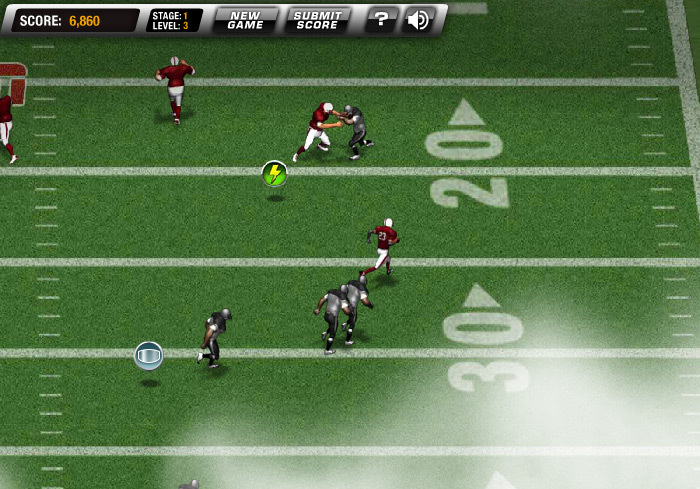 Put your football skills to the test and play Return Man 3: The Season now! The game offers a wide variety of stages to complete, and even more levels! The game is broken down by week,with a total of 15 game weeks. Within each week you have four to five stages to complete before you can move on to the next week. For instance, Week 1 contains four stages. Each stage contains three or more levels. Complete all the levels in order to unlock the next stage. The object of this game is simple. 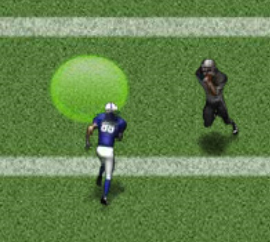 You play as a football star, and your job is to catch the football within the yellow circle, then carry it down field into the end zone for the winning touchdown. As easy as that sounds, there are a few challenges thrown your way. 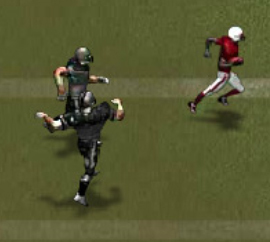 For starters, you need to be able to dodge the incoming onslaught of defenders from the opposing team, outrun the kicker, and dodge large mud puddles and other objects that can slow you down. Hold onto that ball tight! 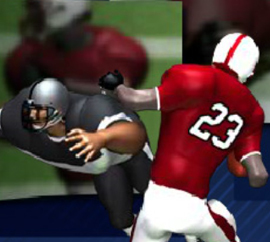 Don’t let those defenders knock it out of your hand causing a fumble! If you do, you better hope you can pick it up before they can recover it! 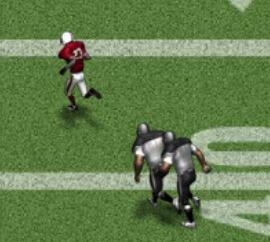 If you don’t make it into the end zone, you will lose a possession. 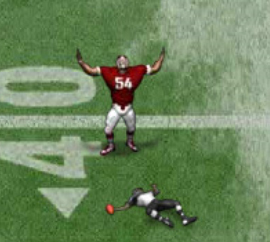 When you lose a total of 4 possessions, that’s the end of the game! But don’t worry, your stage progress is saved. 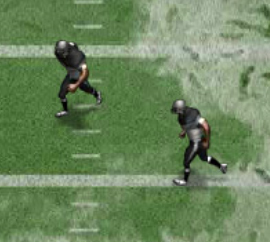 Unlike in some other games, in Return Man 3: The Season the player controls are customizable to suit nearly anyone. 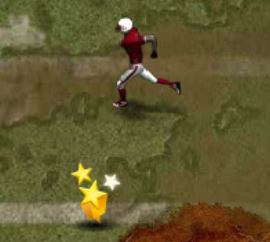 The default directional controls are I, J, K, and L to move your football star in the direction that you want him to go, however you can also choose to use the arrow keys, or select A, S, D, and W as your directional key choice in the user panel. In addition to these basic key functions, you are also given key options to activate your special moves. The default special moves keys are A, S, and D, but if you prefer to switch the directional controls as mentioned previously, you can also use the J, K, and L buttons as your special moves keys. In addition to these function keys, there is also a mute button available so you can toggle the game sound on or off. 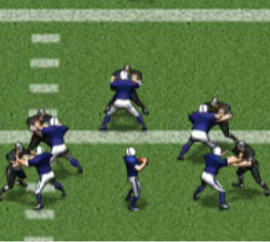 In addition to unlocking the stages by completing the one before it, as you play this football game you will also unlock a large variety of special moves that you can use to help you successfully complete the game. As helpful as these special moves are, it is wise to keep in mind that they are not totally free to use. Each special move spends a certain amount of score points. 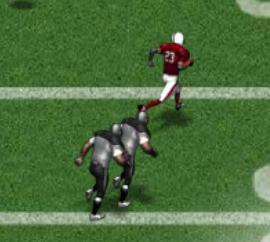 For example, the Juke spends 300 score points, while the Ankle Breaker spends a mere 150. 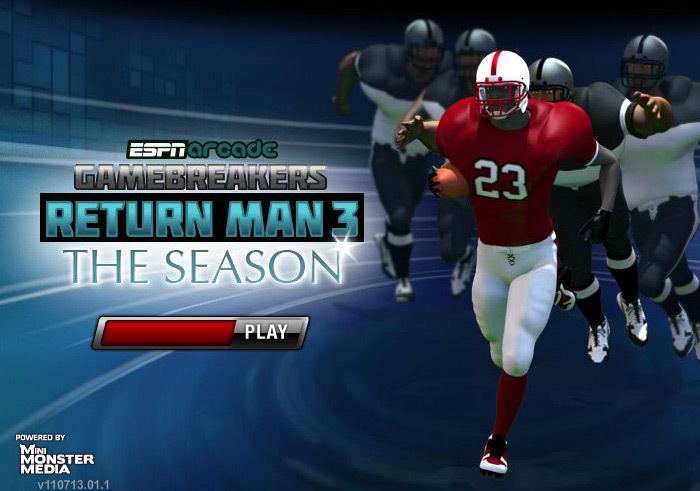 Return Man 3: The Season, just like the original version, can be a rather complicated game for some players. Try out some of these helpful tips and watch your score soar! Pay attention to how often and which type of special moves you use. Remember that using these special moves is crucial to completing some stages and levels, but they come at a price. Try to always pick up the items that are scattered across the field. These items, when picked up, not only can help give your football star certain buffs (like a burst of speed), but they also help increase your score! Avoid the mud holes and ice patches as much as possible. 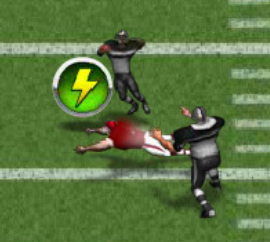 These traps will slow your football hero down, which could ultimately cost you the game!